Sunday: Sunday called for an arvo catch up with my mate Chris who has been living it up in the subcontinent for a couple of weeks. I suggested Glebe as, for starters, it’s open on a Sunday and second, it’s home to some great and eccentric cafes. 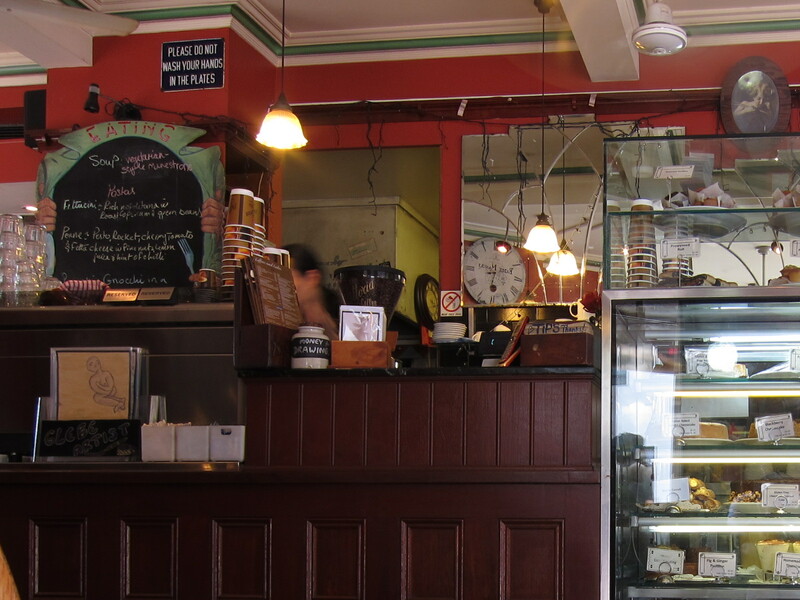 I suggested we go somewhere a little out of our usual comfort zone (café wise) and hit up Badde Manors. 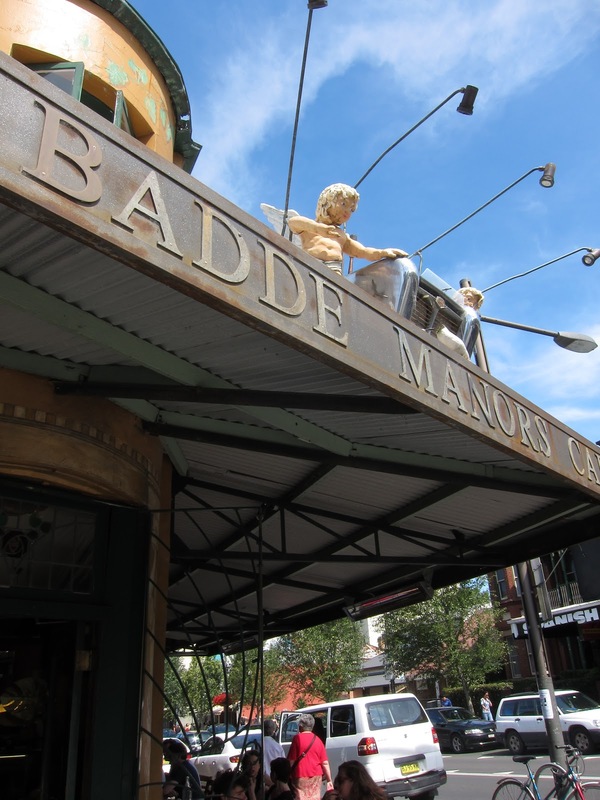 Badde Manors is the old lady of the Glebe coffee scene. She was here in the 1980s and is still here today, she was styled to be a 1950s/1960s diner and thus she remains. Glebe maybe ever changing but she remains the same. Badde Manors unsurprisingly, given the name, is not known for its table service. While there is a big sign telling outside diners that there is no table service out there, don’t think anything really changes if you’re seated inside. However, always being the optimist, I took a booth seat (inside) and waited for both Chris and a staff member. Chris turned up well before I was even looked at by the staff. Some good convo ensured (about the Labor Party and what not, yup we’re political nerds too) and we discovered about 10mins had gone by since he had got there and still no service! It was at this point that I had to pull the plug on my optimism and go up to the counter and order a flat white and a banana smoothie (Chris you disappoint me). The flat white came out in a reasonable time. Presentation wise it was quite average, no visible sign of coffee art had been attempted, which is fine, but always disappointing. The aroma of the coffee was quite sweet, while my nose was off, having been sick all weekend, however it still smelt quite fruity and honey sweet. There was also a mild roasted aroma it which was a reasonably pleasant smell all round. Taste wise it was evidently a medium roast. These fruity, honey flavours, which I smelt, continued to dominate the drink, however, there was also that roasted taste/smell to this coffee, which seemed hidden behind the sweeter flavours. 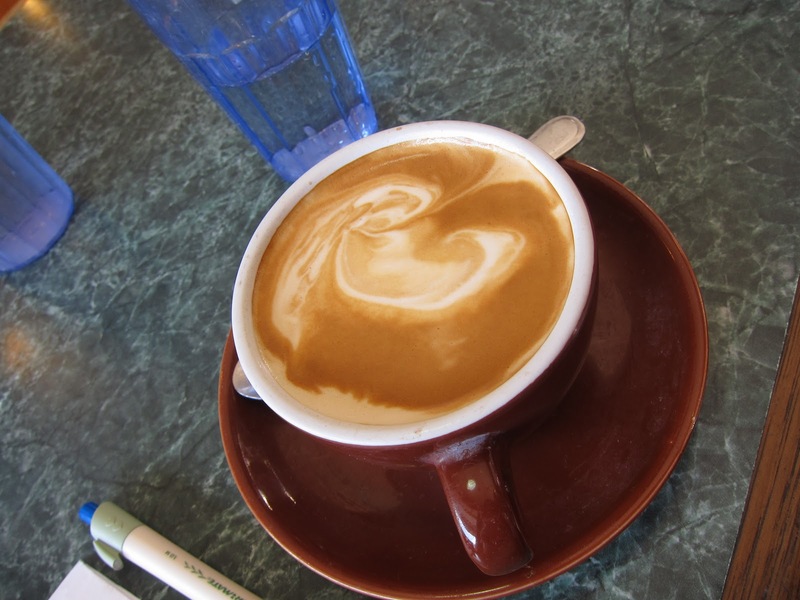 I’m not totally sure what this coffee was doing, whether it was under or over extracted. It just seemed a little off in one direction or the other (They use organic fair trade beans, so perhaps consistency of bean quality maybe the issue here?). Overall, not too bad. To sum, Badde Manors is not the place to come for a fast meal or amazing coffee, but instead more the ideal people watching cafe. It’s a bit of history on Glebe Point Road and while better places are popping up like crazy around it, it’s worth the novelty factor (and a useful food stop if you’re a vege person).